One of the main issues in any Boca Raton divorce case is the proper division of marital assets. Normally, Florida courts apply an “equitable distribution” rule. In most cases, equitable means a 50/50 split of any property acquired during the marriage. But a judge may depart from a strictly equal division under certain circumstances, such as when one spouse is found to have intentionally “dissipated” marital assets. Dissipation is a fancy term for wasting money or property. For example, if one spouse blows $50,000 at the casino, that could be considered an intentional dissipation of assets. Another example would be one spouse using marital funds to purchase expensive gifts for a paramour. But what if one spouse simply makes a gift to family members and the other spouse objects? Does that qualify as intentional dissipation? And does the fact that the other spouse received gifts from family members affect her ability to seek alimony? A Florida appellate court recently confronted these questions. The parties in this case, Sarazin v. Sarazin, were married for 15 years. Shortly before the wife filed for divorce, the husband made an $80,000 gift to his Croatian parents “to help them with their home.” The wife argued this gift constituted a dissipation of marital assets. She therefore wanted the $80,000 counted towards the court’s division of marital property. 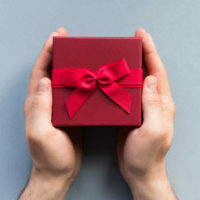 The husband objected, maintaining his wife “fully on board with the gift” at the time, and in any event he was not aware of his wife’s plan to file for divorce when he gave his parents the money. The trial court found the husband’s argument more convincing and excluded the gift from the division of marital assets. The Florida First District Court of Appeal upheld the trial judge’s decision, effectively noting the trial court could have ruled either way on this subject. But the First District did side with the wife on another issue. This time, the point of dispute was a series of gifts the wife received from her family. Specifically, the trial court found the wife regularly received “substantial” cash gifts from her mother and brothers. The trial court determined these gifts were likely to continue into the future, so it counted them as “income” for purposes of calculating the wife’s alimony award. The appellate court said that was a mistake. Under Florida law, a judge may not consider “gifts which have not yet been received [and] are purely speculative in nature” when deciding alimony. While it might be reasonable to assume the wife’s family would continue to provide her with financial support in the future if she needed it, the First District said that has no relevance to a proper determination of either alimony or child support. The appeals court therefore returned the case to the trial judge with instructions to recalculate the award of both in this case. If you are contemplating divorce, there are a number of financial and legal issues you will need to consider. The experienced Boca Raton divorce attorneys at WiseLieberman, PLLC, can review your case and advise you on the best course of action. Contact us today at 561-488-7788 to schedule a confidential consultation.